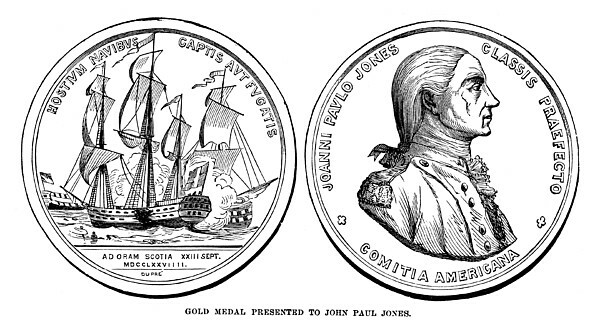 There are no comments for John Paul Jones (1747-1792). Click here to post the first comment. 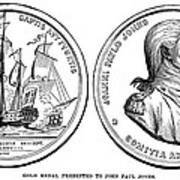 JOHN PAUL JONES (1747-1792). American (Scottish-born) naval commander. 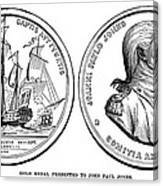 Engraving of a medal commemorating the defeat of HMS 'Serapis' by the 'Bonhomme Richard' on 23 September 1779, awarded to Jones by Congress in 1787.